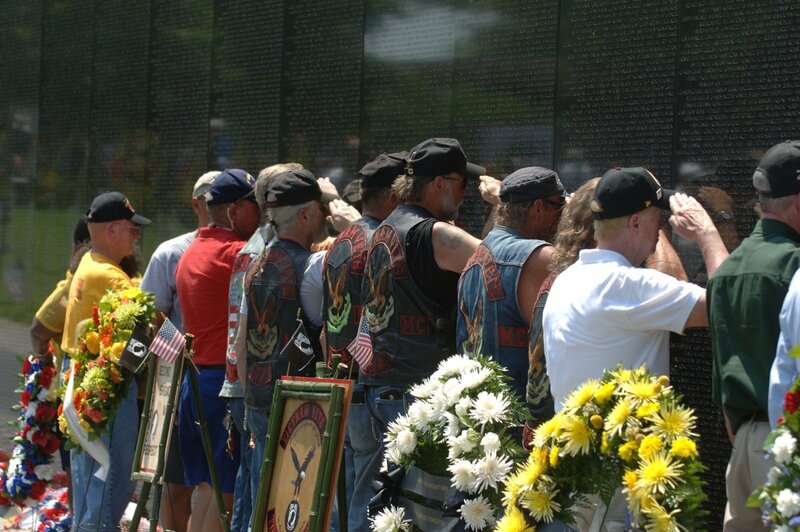 “Wall Magic” describes miraculous, unbelievable coincidences at the Vietnam Veterans Memorial. 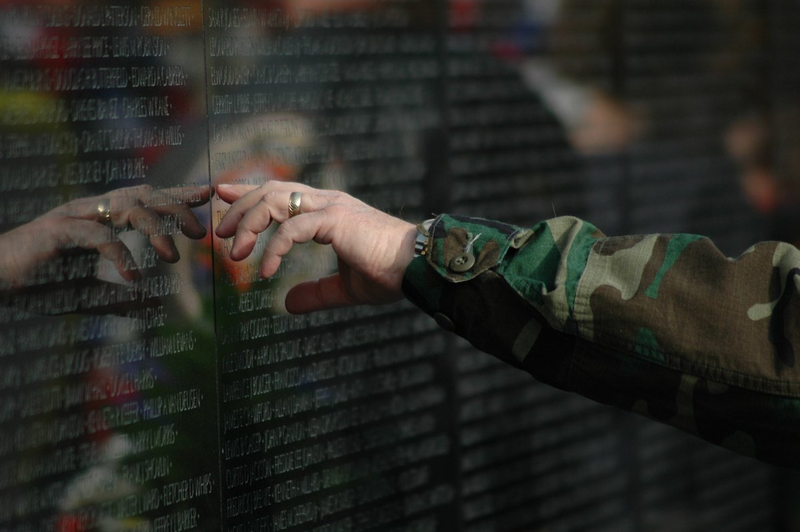 The Wall has many stories surrounding it—stories of friends who reconnect, of families who meet men who served with their loved ones, of friendships and marriages forged there. These occurrences come about through events that seem more than coincidence and bring their own story of healing. 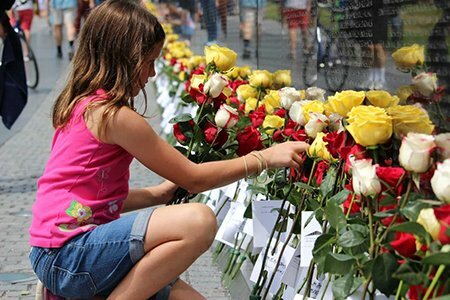 Volunteers at the Vietnam Veterans Memorial have seen many instances of Wall Magic. These stories, and there are many, involve these remarkable moments that happened at or because of The Wall. An early Wall Magic story comes from Doubek, who worked so hard to make the dream of a Memorial a reality. In the final days before the National Salute to Vietnam Veterans in 1982, construction and landscaping crews still had the Memorial fenced off in order to keep crowds off the newly laid sod. Doubek was down at the site, wrapping up for the night. A young man approached and asked if he could go down to The Wall. Doubek asked him to return another time. The young man said he was from California and still in the military. He had to leave the next day. That day, Doubek experienced a little bit of Wall Magic. Have your own Wall Magic story? Please share it with us. 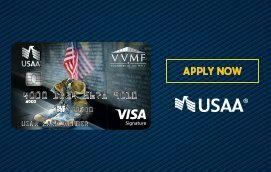 To submit your Wall Magic Story, click here. Listen to a Wall Magic story: "And there she was"
Those of us who stand at The Wall know of the unbelievable coincidences, twists of fate and, well, “magical moments” that bring long-awaited healing and reunite loved ones. These “Wall Magic” stories were submitted from our volunteers so that you can experience it for yourself. Look for more stories in future volumes. 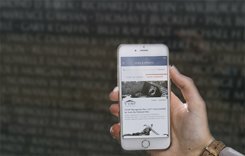 This book is dedicated to the selfless volunteers at the Vietnam Veterans Memorial, those who know firsthand that Wall Magic is as real as The Wall itself. They make visits to The Wall magical for so many . . .